This Portwest S191 long sleeve pocket t-shirt uses moisture wicking polyester fabric to keep the wearer comfortable, cool and dry. Long Sleeve T-Shirt uses Reflective heat seal tape for enhanced visibility. 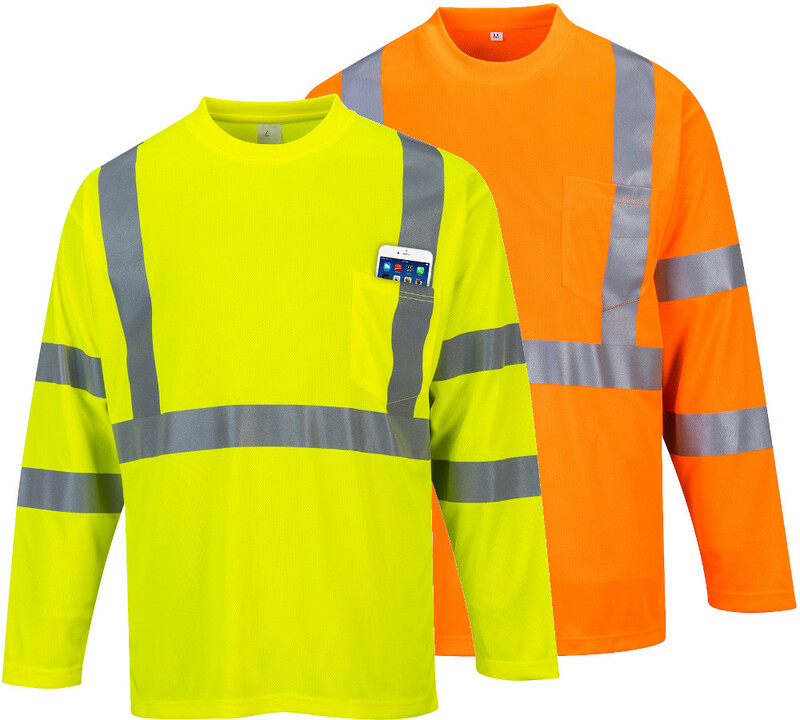 This Long Sleeve Hi-Vis T-Shirt has a taped neck seam for extra comfort.